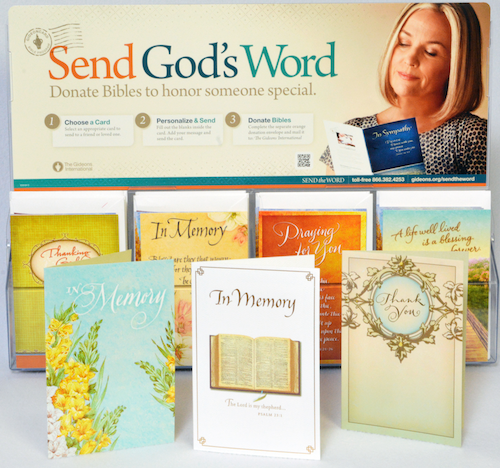 GideonCards are Christian greeting cards that allow you to send God’s Word in memory or in honor of a friend or family member. They are available on our website. With your donation, The Gideons International will share your gift of Bibles to any of the 200 countries, territories, and possessions around the world where we are represented. To find out how you can start sharing God’s Word by sending GideonCards, click here. GideonCard1Minute from the gideons on Vimeo.